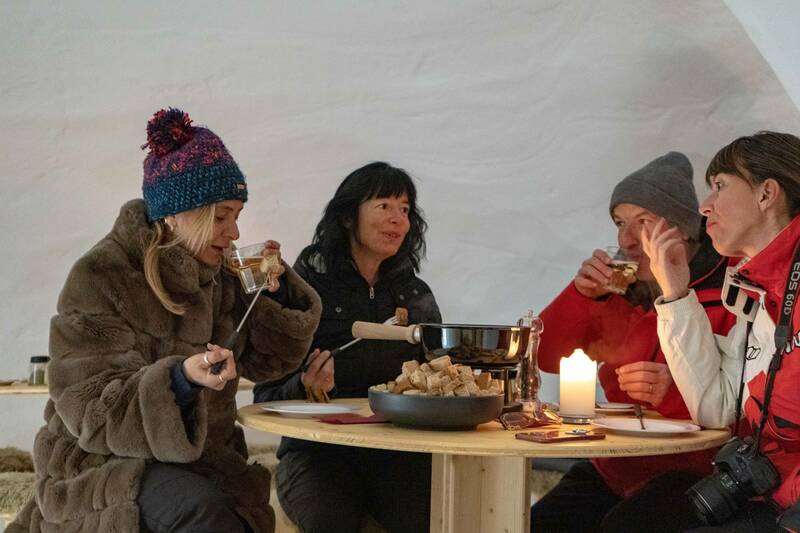 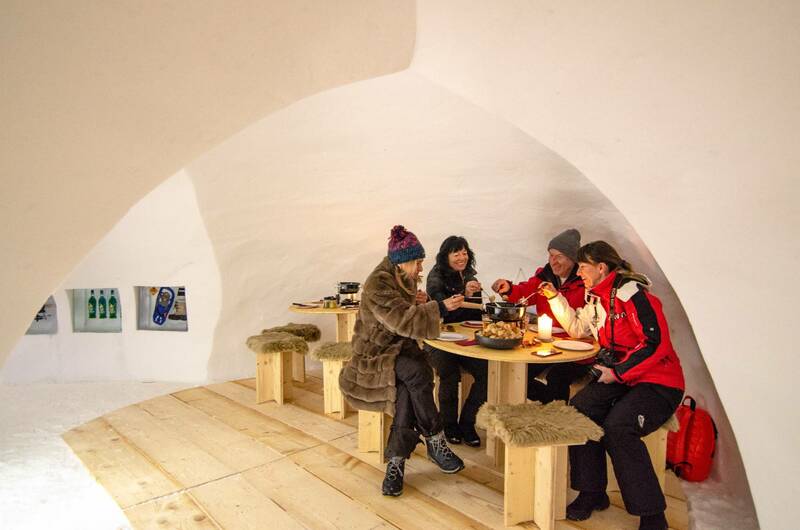 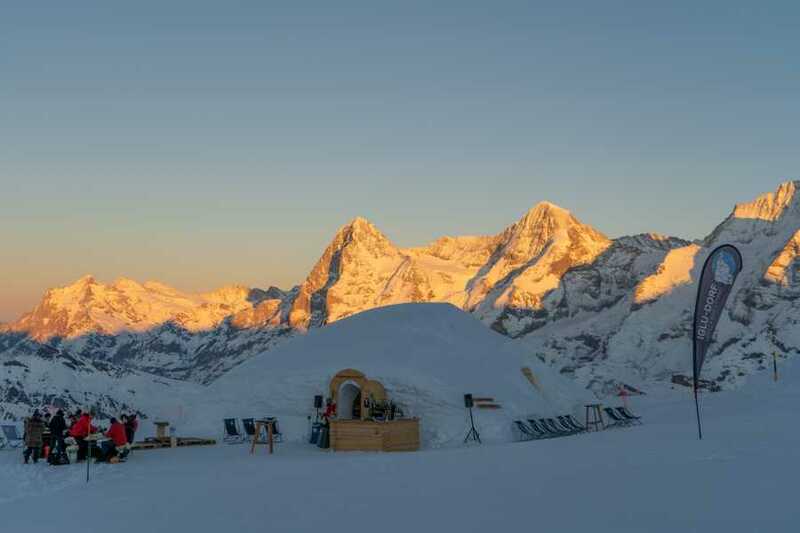 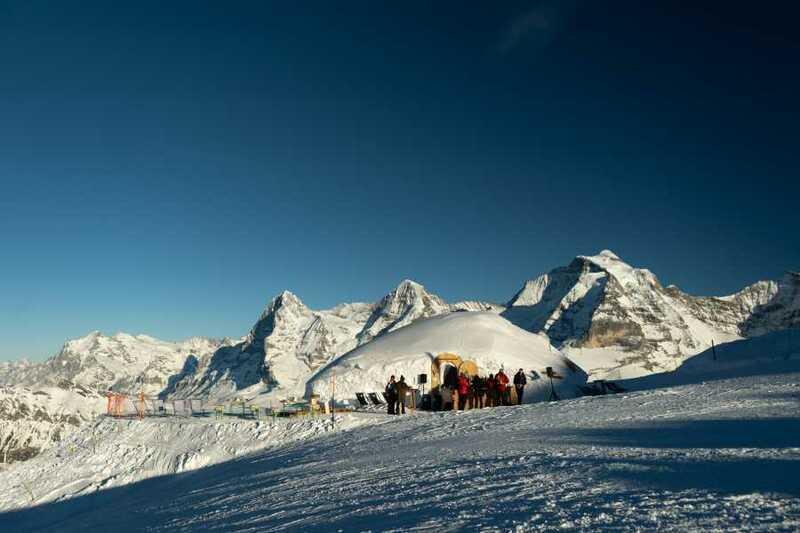 Experience a very special evening in the igloo village at over 2600 metres above sea level. 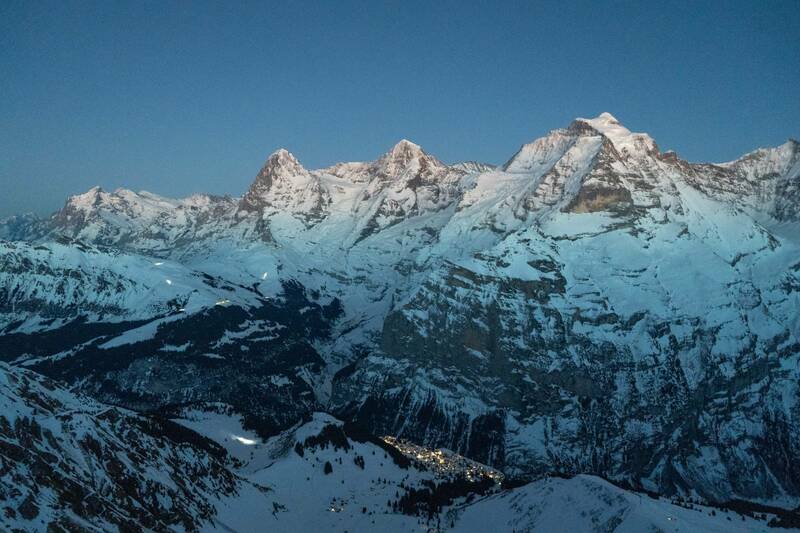 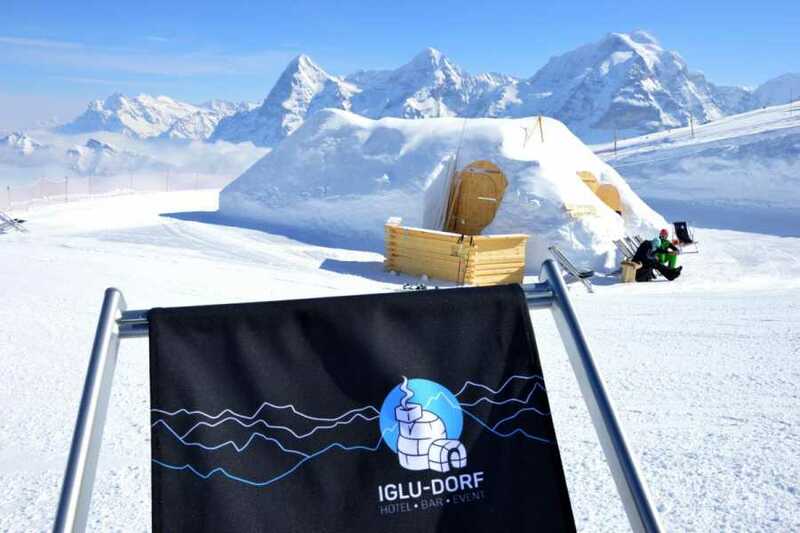 After the journey from Stechelberg or Mürren to Birg, a guide will welcome you at the station and show you the way to the igloo-village. 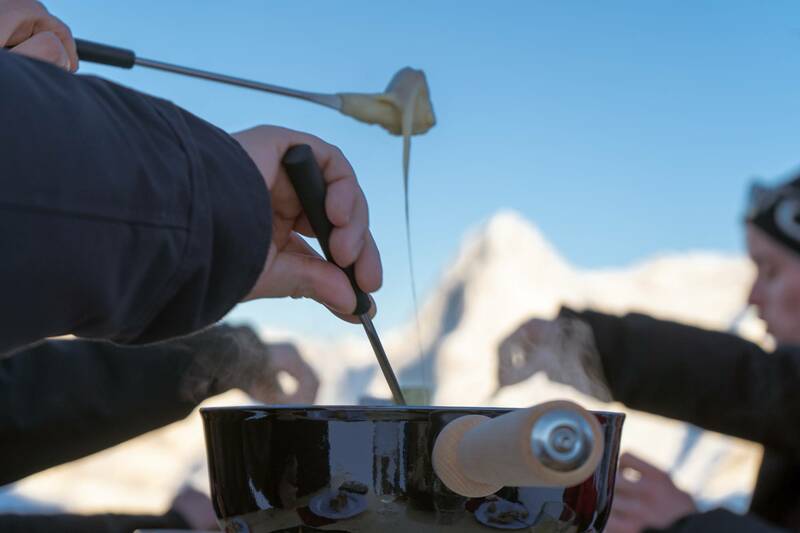 A welcome drink will warm you up in the bonded igloo and a cheese fondue with regional mountain cheese will finally warm your heart. At the end there is not only a culinary dessert. The way back on the spectacular Thrill Walk, a 200-metre-long cliff path, guarantees thrills and pure mountain experience in the dark! 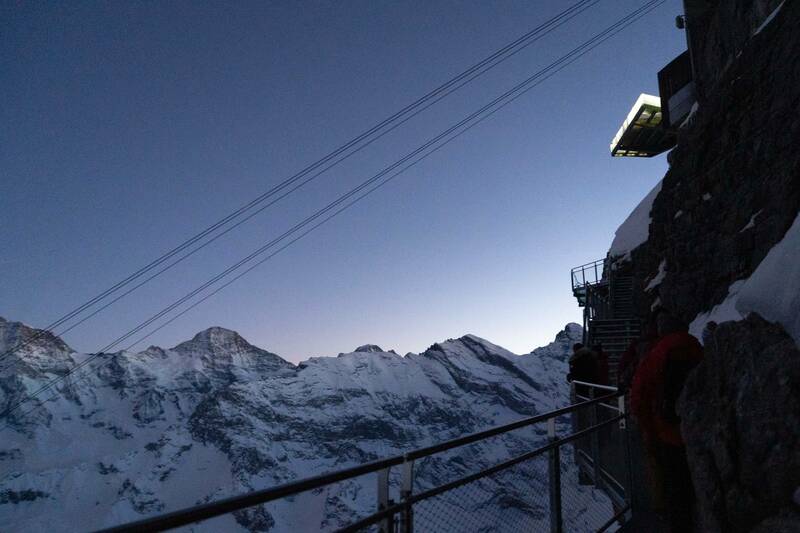 The extra cable car ride takes you back through the night to your starting point.